Last Sunday, as part of its 50th anniversary celebrations, BBC2 broadcast The Comedy Vaults, an hour-long collection of clips from rare, or entirely unseen programmes, including early appearances by some of the biggest names in comedy, past and present. To be honest, some of the clips were a bit well-worn (such as Bill Hicks and Denis Leary delivering trademark gags from their most famous albums), and I could have done without some of the more tenuous talking head commenters, but there were still a few interesting nuggets buried under all the fluff and guff. 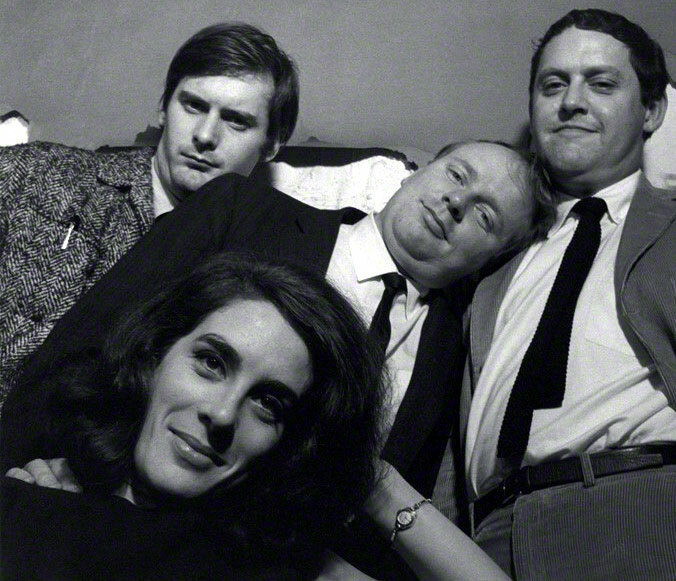 Besides the first TV appearance of French & Saunders as a double-act (on Friday Night… Saturday Morning, 1982), the highlight for me was a sketch from Beyond a Joke (1972), starring John Bird and the illustrious Eleanor Bron as angels arguing over the cost-effectiveness of arranging an avalanche in a leafy English suburb, in order to kill a single man. It probably would have been funnier if they hadn’t interrupted it halfway through… but at least it was interrupted by Bron herself, looking back proudly at the sketch from the present day. Sadly, that series has never been released on “home video” in any form, while many of its contemporaries have either been misplaced or intentionally erased by the Beeb (boo! hiss! )… so I’ll probably never get to see Where Was Spring? (1969-70), a two-handed sketch series about relationships that Bron recorded with Bird’s comedy-partner John Fortune. 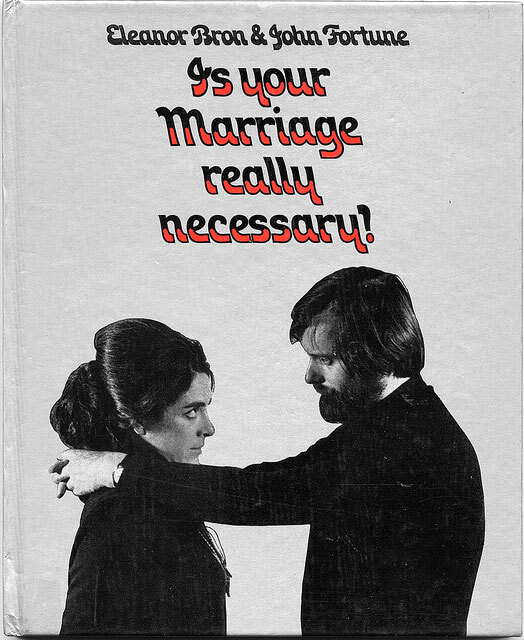 Apparently some of the sketches were reproduced in a book titled Is Your Marriage Really Necessary?, and there seems to be plenty s\hand copies available on Amazon… but reading gags off the page isn’t really the same as hearing Bron deliver them with that gorgeous voice of hers, is it? Ah, well… thank God nobody wiped Bedazzled back in the day! Fun fact: When Bron began her comedy career in the Cambridge Footlights revue of 1959 (The Last Laugh), she was the first real-life woman to ever appear in a Footlights show! Up until that point all the female characters had been played by men in drag… tch! This entry was posted in Rants about Books, Rants about TV and tagged Beyond a Joke, Eleanor Bron, French & Saunders, Friday Night... Saturday Morning, Is Your Marriage Really Necessary?, Jennifer Saunders, Where Was Spring?. Bookmark the permalink.